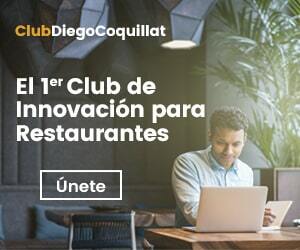 The new letter The Mafia sits at the table, presented in the restaurant of 4 Torres from Madrid, obtained a warm welcome by experts in gastronomy, contributors, Franchisors and influencers who attended the event. They could taste the new dishes, who enjoyed wide acclaim at sunset along the new letter. With the presence of more than 50 people in the industry, dishes were tasted newly released letter. The site chosen for the event was led Restaurant Montxo Del Moral in 4 Torres, on Paseo de la Castellana in Madrid. The event was collaboration Estrella Galicia Y Royal Bliss maridaron that some dishes and desserts respectively and Deliveroo. Before savoring the new Italian-Mediterranean elaborations, an activity in which the guests participated was organized influencers, who became true chefs. Participants were His Vara de Rey (hans_varaderey), Pilar, Miguel, Rocio, Elinor Navarro, Alba Fernandez, María Jesús Sánchez, Maria, Mauro Paya, Tamara Gugel Alba and Natalia Muñiz, who hand of Joaquin Velasco, responsible for R & D of Enseñat, They participated in a fun workshop that besides knowing the quality of the raw material, with which you work in 42 franchise restaurants, They had the opportunity to prepare pizza dough and pasta. Velasco also developed a live ++ parmigiana ++, which later they were able to taste. During the workshop, also tasted one Italian cheeses selected table and you can also eat at La Mafia sits at the table.